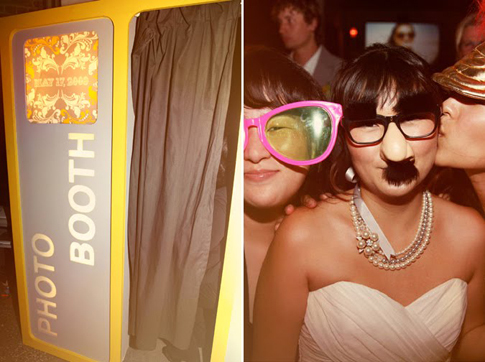 This TREND OF THE WEEK is all about Photo Booths! Photo booths have become a popular way to capture those special memories and your guests unique personalities at everything from weddings to birthdays. While professional photo booths can be costly, creating your own can be an easy and fun project that is sure to provide you with an album of amusing and memorable photos. Don’t worry my ‘tight budget’ friends because you can make your own DIY (do it yourself) photo booth and still have money left over for the honeymoon! 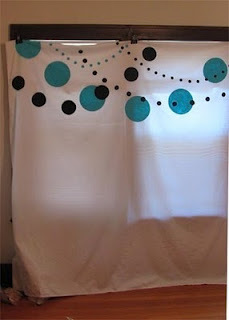 Start by hanging a simple backdrop, like a sheet, tablecloth, or curtain. Use your digital camera and set it up on a tripod. Attach a remote to let your guests take their own pictures. Get creative! Provide props and costume pieces or even a small chalkboard for them to write messages. Print off duplicates of the pictures and send them to your guests with the “thank yous”. 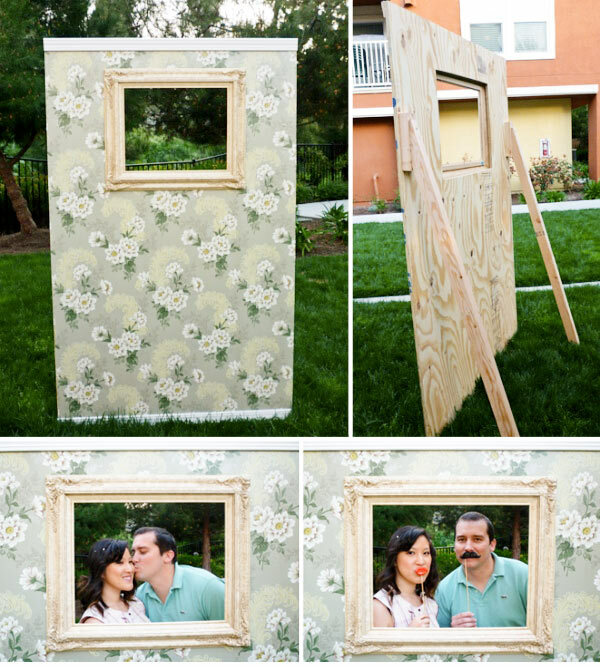 Use your imagination and make your photo booth unique for your special day! Thanks for reading about my TREND OF THE WEEK! Love is a feeling, marriage is a contract, and the relationship is work! Some here are some unique ways to use flowers in your wedding we really like. 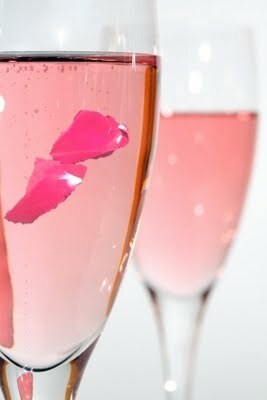 Rose petals in the champagne. Don’t worry, they’re edible! A fun way to do your centerpieces! You get some great visual impact, with low cost on decor. Now I am just in love with this focal point arrangement! It’s a flower chandelier. Lovely, isn’t it? And these are some fun aisle markers. 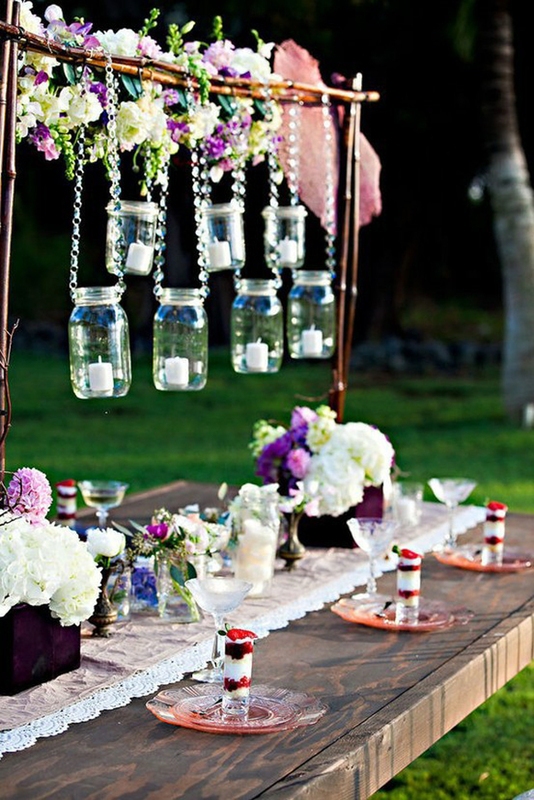 A wonderful way to get a lot of style into your ceremony! 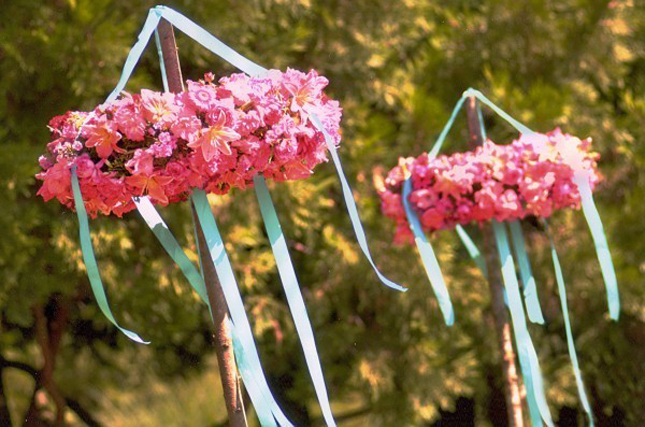 Flowers may be common in weddings, but there are still tons of original ways to use them out there! Fix or clean one thing for your mate, without being asked to. Make it a weekly habit! 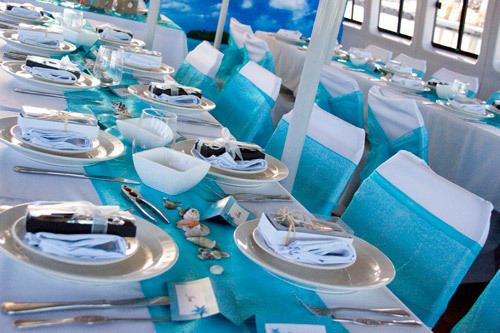 So we live in a landlocked state, but that doesn’t mean you can’t have a breezy island themed wedding! I recently had a Bride who went to Mexico for the ceremony, and had a reception at home that went with the theme of the wedding. Of course there are many great reasons to have one! So whatever one may be yours, here are some pictures of the very wedding for you to check out. The cake/cupcakes. 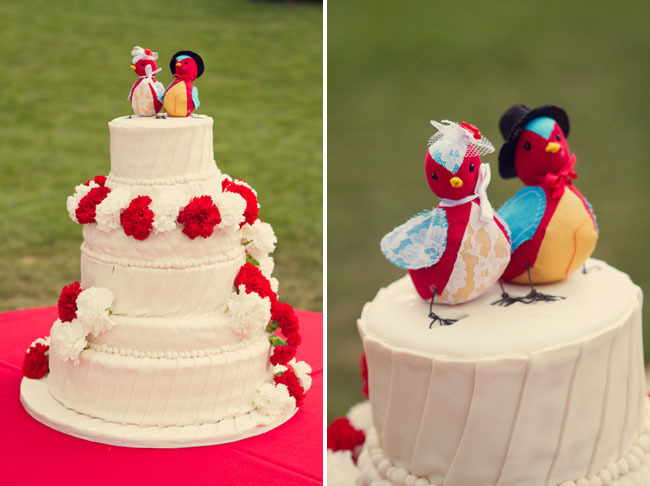 Love the seahorse cake topper! And the reception tables. 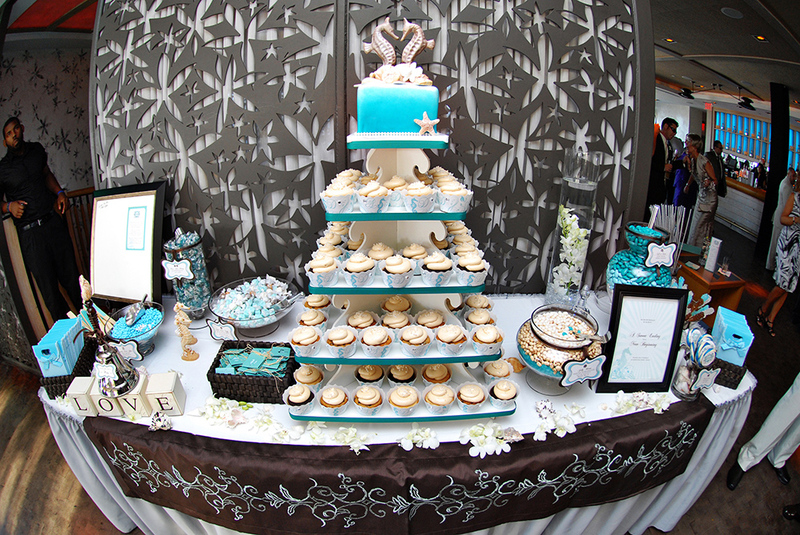 I love how they mixed the informality of the cupcakes with the formality of the reception set up. It makes it feel laid back and sophisticated all in one. 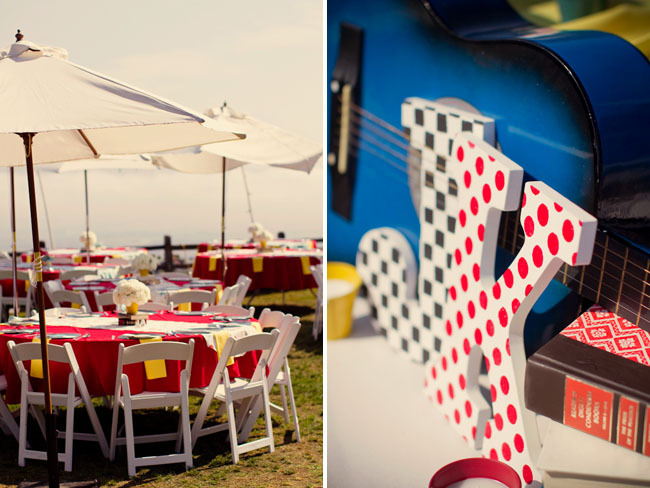 This is a wonderful theme that can work wonderfully for any couple! This was part 10 of this series. Thanks for reading this series, I had so much fun writing it for you! I hope the ideas in these posts were as unforgettable for you as they were for the Brides we originally gave them to! So this is a pretty fun theme! Some couples may choose it just for their wedding day, while some live the lifestyle. Either way it’s a great way to have a totally different wedding than the norm. This post I’m using an actual wedding entirely instead of pics of random stuff that fits the bill for the theme as I do half the time, so you’ll get to see this lovely couples gorgeous outdoor wedding! 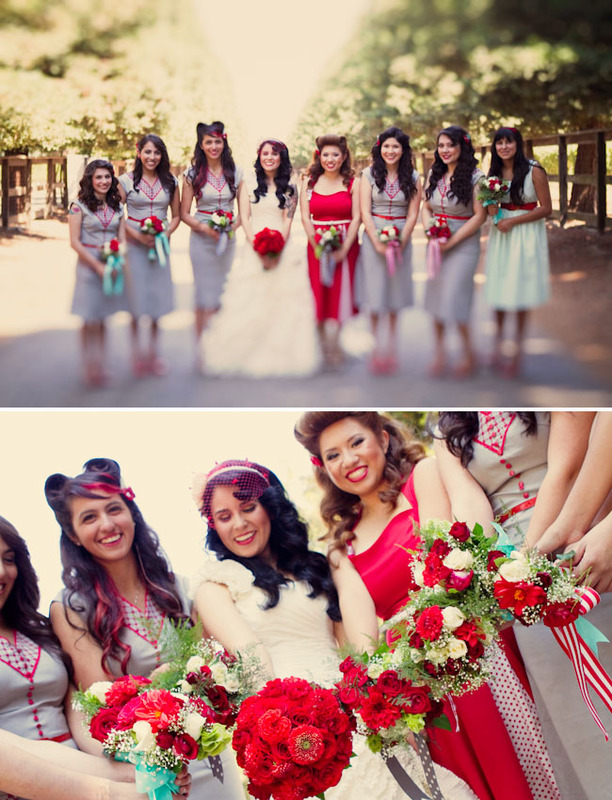 This is a great representation of a classic Bridal Party for a Rockabilly wedding. 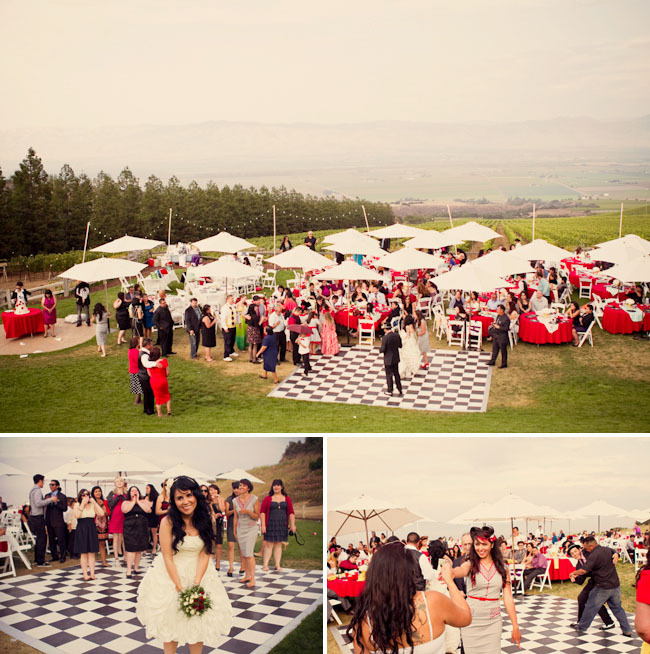 Black and Red are the typical colors you see, and this Bride took a spin on this and used gray. 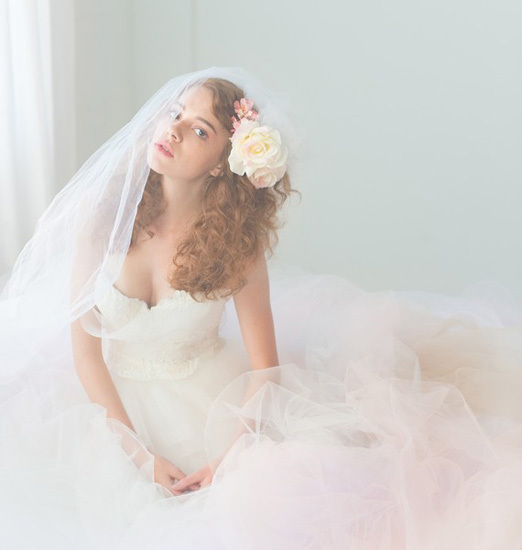 Notice how she uses light colored airy small flowers to balance the strong shades of the structured flowers, a good thing for Bride’s making their own flowers to take note of. Love the lanterns on the iron archway! They added a guitar into the decor, which I think is pretty cool. Especially since it’s a coordinating color! The yellow in the napkins makes for a fun pop that makes this wedding feel more summery. I love how the they use old records as chargers! It carries on the music theme. And finally the cake…. Isn’t it just to die for? It just fits so perfectly, it mimics the pattern of her dress!-and it looks delicious. So all in all, I think this is a pretty nifty way to go for your special day! This was part 9 of this series. 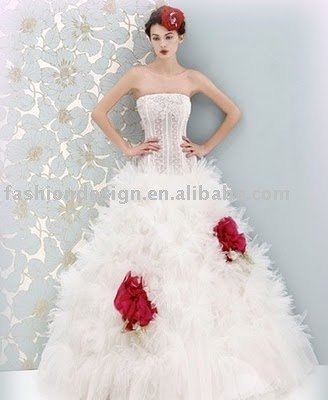 So the trend of feathers in weddings has been around a while, and looks like it isn’t going anywhere. 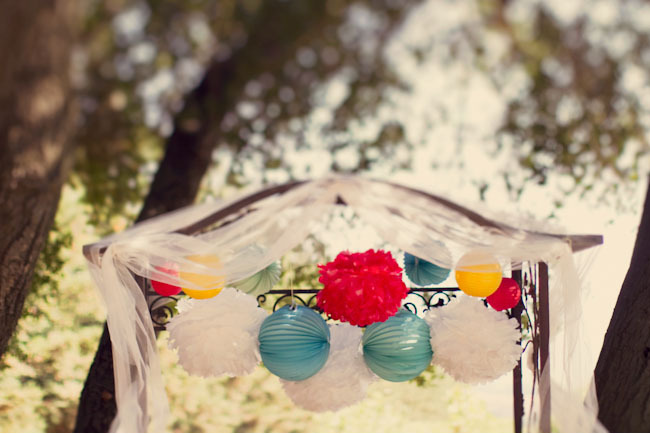 This post is going to show you some different fun ways to use them in your wedding. This is the biggest way you can use these beauties. And the best part is, no matter your theme or colors, you can use them! If you want a lot of feathers…. 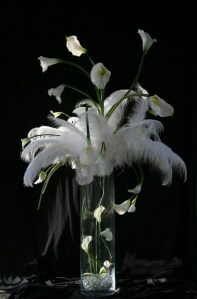 Or if you just want an accent of feathers…. 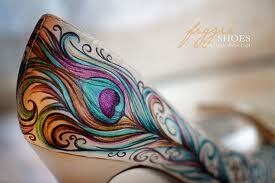 Here, I especially love the idea of feathers. These are some of my “unforgettables” pictures, meaning if this is at your wedding, it’ll be remembered for years and your friends will try to copy it because it’s just so fabulous! I’m a big fan of bouquets that will stay gorgeous for years to come, so I really like these. This one brings classic and modern together. I think it’s just so romantic looking! 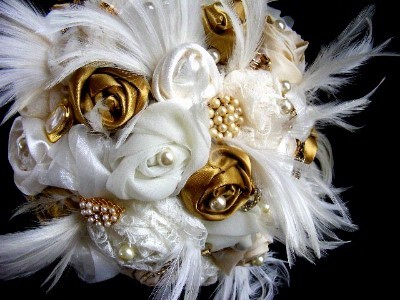 I love how this one has the metallic flowers and accents. It’s a wonderful balance it creates. And you can’t forget you dress and accessories! Here are a few I found that are just too cool. 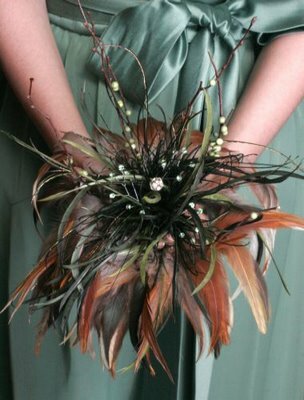 Again, love the balance of the airy feathers with the deep color the way they did this dress! 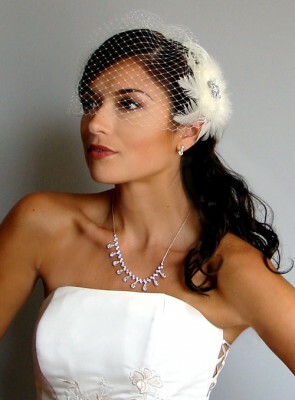 This feather fascinator is so chic! Love those shoes! This company makes amazing custom ones. Figgie shoes! Check them out! All in all, feathers are amazing! So we understand why this trend has already outlasted so many, and there is no forseeable end in the future! Thanks for checking out this post, I love to share my ideas! Dance…. Anywhere. Especially with no music. 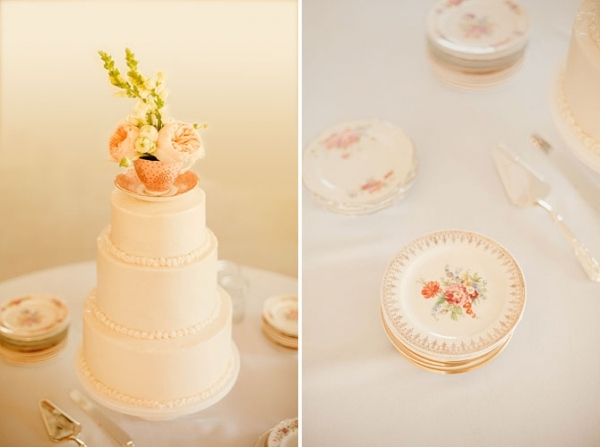 This is a lovely theme for an afternoon wedding, especially if you have a modest budget but don’t want it to show. 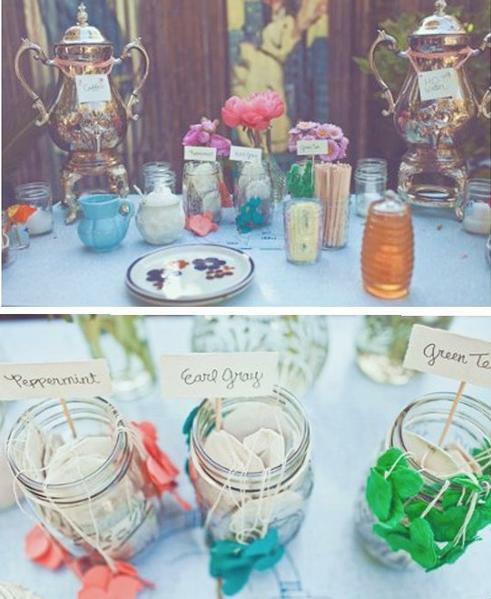 Something that is unusual and fun is a tea bar! Of course you are going to be serving tea, but, you can make it interesting and fun. Offering a variety of teas, some special blends and herbals can give your guests an opportunity to explore some new teas. Get some jars or bowls you love and put little flags in them of what flavor they tea bags inside are. Set up a steeping station for those that want to enjoy the traditional hot tea to chat and enjoy exchanging stories about the bride and groom while waiting for their tea to brew, and throw in some fresh springs of herbs to be added in. A good way to have an impressive centerpiece that your guests will undoubtedly love, is simply take a tiered tray and line it with cupcakes and petit fours decorated to match the Bridal Party flowers. You can even pick up some specifically for the theme, like below. Talk about some considerable savings! 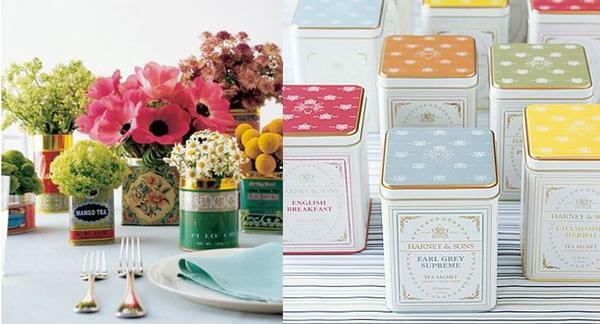 A fun idea for a favor is taking a box of tea and placing a thank you for attending card just inside, and arrange them by flavor near the exit for your guests to choose the one they want. Think Raspberry, Mint, Jasmine, Vanilla, Orange. Then take a few of the containers emptied for the tea bar and fill them with flowers and place around. Voila! Beautiful decorations that fit just perfectly. You can’t forget about the cake! 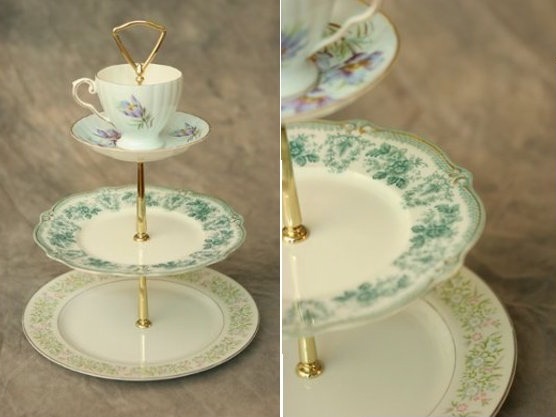 Don’t you love the tea cup topper? All in all, you can’t go wrong with this theme. It’s fun, different, unforgettable, and it’s inexpensive! This was part 8 of this series. Snuggle up on a rainy day. 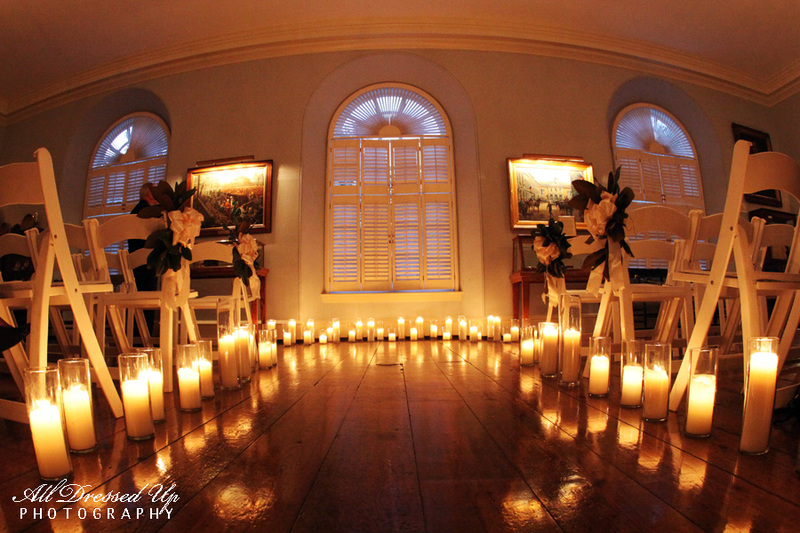 For a romantic wedding, it’s all about setting the mood. Think small intimate tables, and low lighting. The great thing about this theme, is it’s super budget friendly! 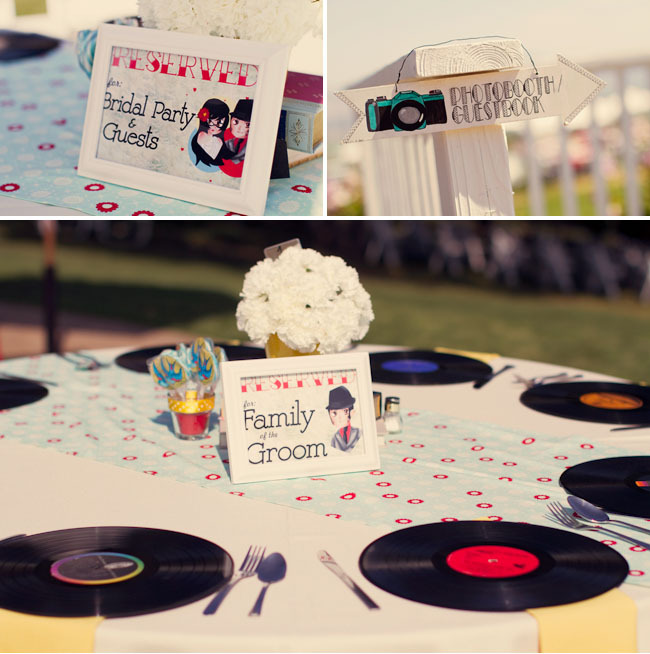 Sound like your kind of wedding, but not sure how to make it happen? 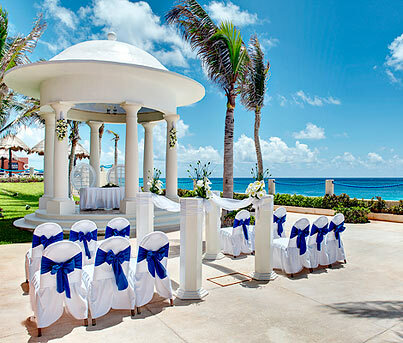 A great place to start is with your venue. Think a mansion, Bed and Breakfast, or by the water at sunset. Next, the dress. You can go a few different ways with this one. You can go opulent…. The next step, flowers. 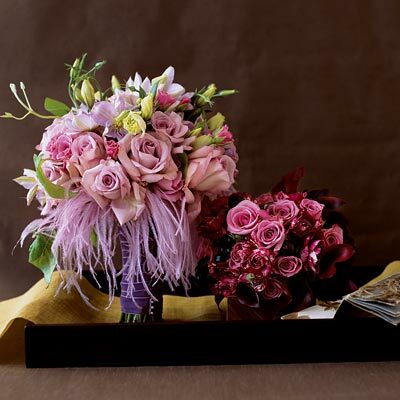 For a Romantic wedding, roses and feathers are a go-to. Color wise, anything in the red, pink, or purple families will flow perfectly. This is a theme that is surprisingly small budget friendly for the visual impact you get. As for the reception, it’s pretty easy to carry this theme over. 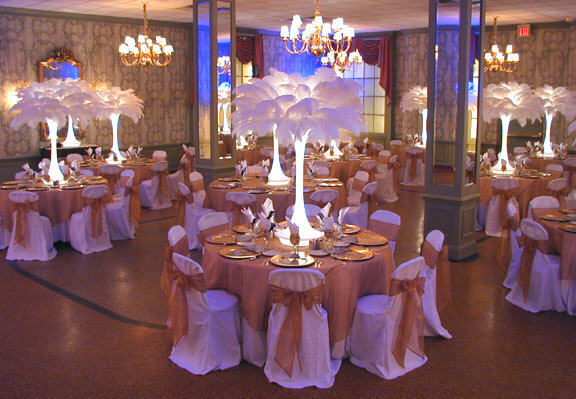 You want to keep your color palette simple, and make the lighting effects and flowers plenty. The great thing about using this theme, is how much you can save on decorations. Because you’re using lighting effects like candles, twinkle lights, and lanterns, you can use artificial flowers everywhere and nobody will be the wiser. 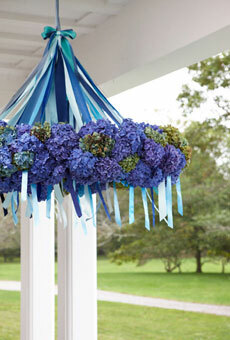 The only area I personally think real flowers are a must is petals used outdoors. A lot of Brides don’t realize most venues will make you pick up every single one, or you get charged a hefty fee for clean up. So it’s worth the splurge here! At The Party Loft, we make custom floral arrangements. So we can do anything you want, and as many as you want. 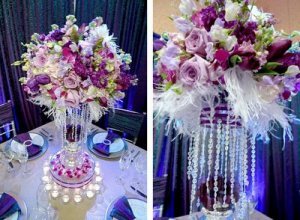 Our centerpieces generally run $3-$6 per table. Just for the simple fact you don’t have to worry about finding a place for all those flowers and vases after the wedding makes it worth it to rent! Now for the reception, the best part! Just keep it simple with the linens and the centerpieces. Small is better here, you don’t want to overwhelm the smaller tables. The other area that is good to splurge in is the chairs. You want to have some that are elegant and clean lines. 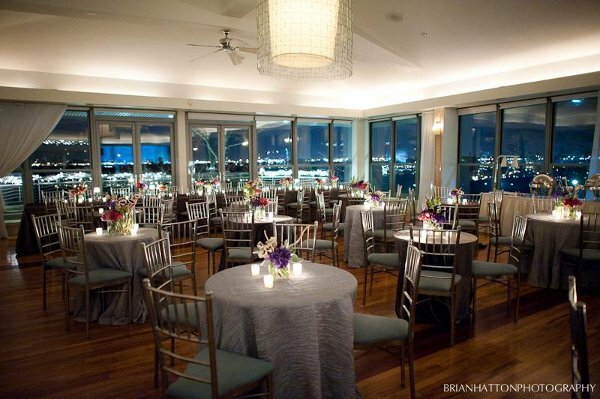 The ones in the above pictures are “Chiavari” chairs. 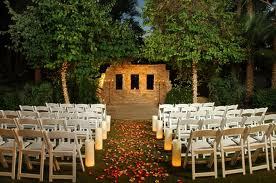 They are a bit more, but dollar per dollar, you’re going to be spending more on what isn’t going to be seen at your wedding when you use inexpensive chairs and cover them with chair covers and ties since you’ll need to hire someone to do it for you. Please don’t ask your guests to do it, either! This isn’t an area to ask for them to lend a hand. And trust me, you don’t want your family and friends to do them. They’ll just be agitated after doing 250 chairs all day for a 4 hour reception, and you’ll have some weird-looking bows! Hope this post has helped you in the planning of your own wedding. This is part 7 of this series.